As a teenager, Northwestern Engineering graduate Ahren Alexander (’16) loved personalizing different aspects of his life — his clothes, his bedroom, his electronic gadgets. Surrounding himself with things that reflected his life and personality instilled a sense of pride. But Alexander, who is a music lover, could not help but notice the dullness of his audio speakers. Music is a powerful force that brings people together, makes them dance, and transcends language. The tools people use to bring music to life, however, are typically uninspiring and underwhelming. While a sophomore in IEMS 225: Principles of Entrepreneurship, Alexander realized that he could solve this problem. 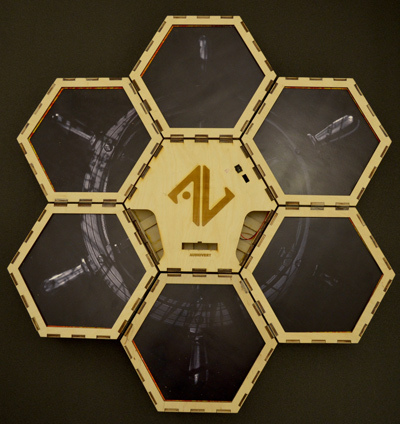 The solution: Audiovert, a company that makes visually inspired, customizable speaker systems to extend the listening experience beyond sound and into the realm of sight and emotion. Audiovert's Hexon is customizable, enabling people to tell their stories both sonically and visually. Founder Ahren Alexander credits The Garage for providing the resources to help the team develop Hexon. Audiovert’s Hexon is a customizable speaker that goes beyond sound, enabling people to tell their stories both sonically and visually. The Hexon puts its user in control of color, size, power, and price. 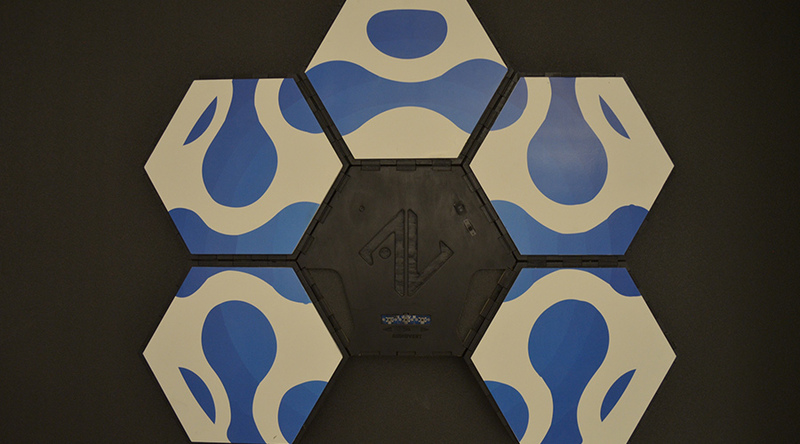 By adding and connecting hexagon-shaped panels, the user can build a speaker system in various shapes and sizes. Audiovert was one of The Garage’s first resident startup companies. A cross-disciplinary entrepreneurship space, The Garage provided mentorship, funding, and resources to help launch Audiovert off the ground. After conducting customer interviews, user observations, and primary research, Alexander built the first Hexon model in The Garage with a 3-D printer, soldering iron, and a drill. Three Hexon models are now available through Audiovert’s website. Alexander is in talks with CB2 and Ikea to get Hexon into stores and has a pending partnership with Red Bull. Audiovert was the sole undergraduate finalist in the 2016 Northwestern University Venture Challenge.